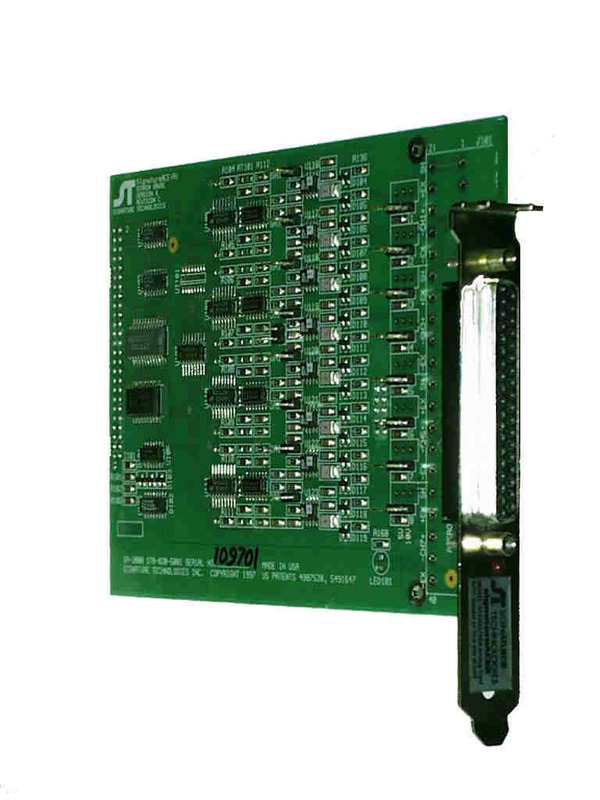 This module provides the means to interface up to 8 analog inputs to the SA-2000. It is primarily designed as a Strain Gage interface, but can also be used with self-amplified sensors, Piezo devices and standard signal analog sensors such as analog proximity transducers. One common application is with laser sensors which produce dimensional data. The result being a dimensional profile in the form of a signature of the object passing through the laser beam. This is a precise and stable analog input that provides it's own regulated strain gauge reference voltage supply. Using 6 SA2000 equipped with /A08 modules allows a system to have 48 channels, all synchronized, per press or machine. All inputs have the option to have factory installed bias adjustment pots.